From its 1898 beginnings as a nightmarish dust bowl, the transition to the tree-lined golfing dream it is today was achieved through many years of hard work and dedication from members and staff. The present course located at Bridge Pa was not established until 1912, and prior to that, the club had several different homes, in Frimley, Mangateretere and Raureka. A decision was made in 1911 to buy the land in Bridge Pa, then described as a ‘howling wilderness of sand and pumice’. In the early days, golfers endured many obstacles and conditions, that today we would consider simply not workable. Sheep on the course, rodents, dry conditions and an absence of good topsoil. However, the choice in location eventually proved to be a wise decision. With persistence from active club members, as well as skilful Greenkeepers, conditions and membership blossomed at Bridge Pa. By 1947, the land had been tamed, and a decision was made to take Bridge Pa to the next level, with the decision to seek the New Zealand Championships. A significant milestone in the course history occurred in 1970 when President Roy Skittrup spearheaded a plan which saw the course altered radically to provide the two even nines which exist today. While the changes to Bridge Pa initiated by Skittrup and Harold Christie took some time to develop (and for players to adjust to), by midway through the 1970s the Hastings course was being hailed as something special, not just by people from other parts of Hawke's Bay and New Zealand, but overseas as well. Throughout the 1980’s the course continued to develop. It was recognised as one of the country’s premier layouts, and hosted many high profile events over the subsequent years. Hastings Golf Club has been a venue for every major national tournament. This is a remarkable record for the club, and a fitting tribute to those responsible for the care and maintenance of the course, as well as those members who dedicated time to organising these prestigious events. 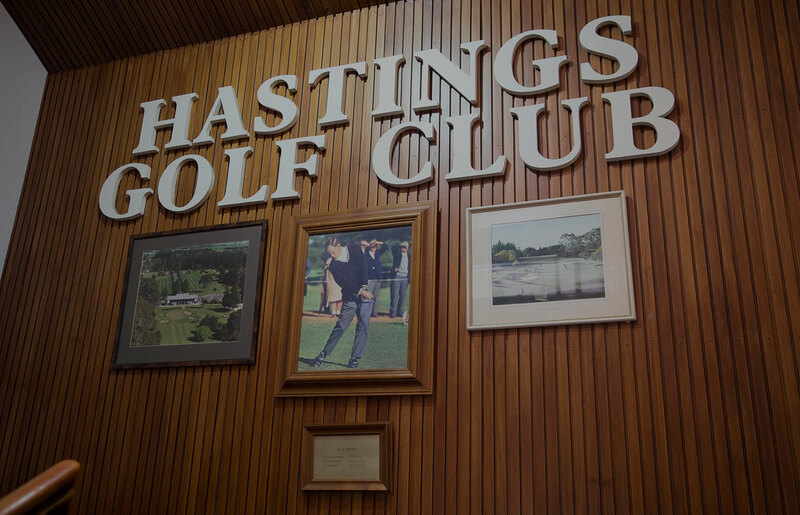 Hastings Golf Club has continued to prosper and evolve, with a management team dedicated to improving the course and club experience for current and future generations. Stuart Jones – Known as the ‘Emperor’, Stuart represented New Zealand from 1953 to 1975, and boasts one of the most stellar amateur golf careers in NZ history. His phenomenal achievements resulted in being made a Member of the Order of the British Empire (1977). Stuart was also named the first-ever Hawke's Bay Sportsman of the Year (1966) and was elected to the New Zealand Sports Hall of Fame in 2012. Cherry Kingham – Winner of the 50th anniversary Hastings Ladies Golf Club open championship and No 1 for the victorious Auckland team in the 1980 Russell Grace tournament played at Hastings.